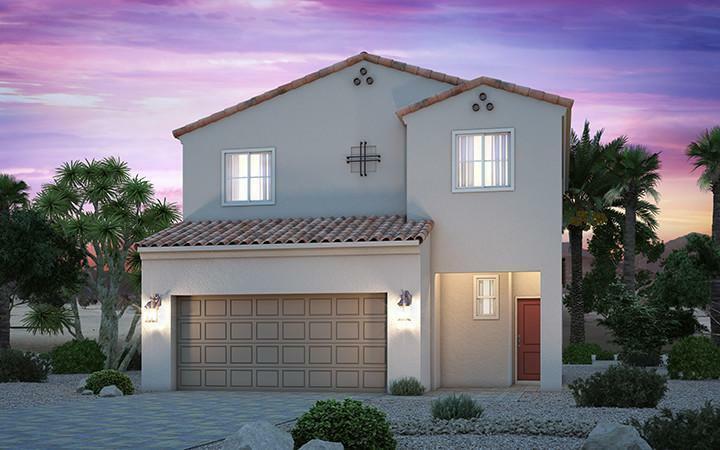 Oak Creek is located in the new master plan of Sedona Ranch in North Las Vegas. This neighborhood features four floor plans ranging from 1,333 to 2,288 square feet with two to five bedrooms. These single and two-story homes include your choice of quartz or granite countertops, stainless steel appliances, 36" full-overlay cabinets with soft-close drawers, and paver walkways and driveways.